Actually a pretty decent sequel, Unleashed finds an infected Bridgette (Emily Perkins) fighting the transformation while being haunted by her dead sister, Ginger (Katharine Isabelle) and hunted by a male werewolf looking to mate. She first finds herself stuck in a women’s clinic where the staff attributes her claims of lycanthropy as a product of her addiction to the monkshood, which is actually slowing the transformation. But there she meets, Ghost (Tatiana Maslany) a strange, comic book obsessed girl, but the only one who believes her, so she reluctantly bonds with her. As her perspective mate draws near, Bridgette and Ghost escape to Ghost’s home deep in the woods for a final confrontation with a few surprises of it’s own. Brett Sullivan does a good job of continuing John Fawcett’s saga yet making this flick in his own style. The first half is a little slow, but Bridgette’s plight in the clinic is well done and holds our interest and gives us a little time to catch up with the character since we last saw her and get to know the eccentric Ghost. Sullivan then cranks things up quite a bit once the vicious male finds and invades the clinic and the girls subsequently escape to the cabin to take it on. There is some nice gore and the film has a different visual style then the first film, but not one that alienates fans of that film. There are some likable supporting characters such as clinic director Alice (Janet Kidder) and unlikable ones like jerk orderly Tyler (Eric Johnson) and Sullivan gets serviceable performances out of them all including strong work from his leads especially Maslany who really gives new character, Ghost some interesting quirks and layers. There is some nice suspense and action especially in the last act and overall it’s a sequel that should keep Ginger Snaps fans happy enough and certainly doesn’t dishonor the cult classic original. A better than average sequel. Grant Harvey helms the second sequel which is actually a prequel/retelling set in the 1800s that was shot back to back with Ginger Snaps 2. Frontier set film opens with the Fitzgerald sisters, or their ancestors, it’s never quite clear, Ginger (Katharine Isabelle) and Bridgette (Emily Perkins) lost in the wilderness and finding there way to a remote outpost that is besieged by werewolves who are slowly decimating the occupants. The girls are reluctantly let in, as they don’t trust strangers, but since they were led there by an Indian hunter (Nathaniel Arcand) well known to the men, they gain entrance. Soon after, Ginger is bitten by the lycanthrope infected son of the fort leader, Wallace (Tom McCamus) who hid the boy in a small room to avoid him being destroyed by his men. So now the sisters have to deal with not only the wolves prowling outside, but the distrust of the frightened men inside and a slowly transforming Ginger. Third Ginger Snaps took an interesting route and it works well enough. 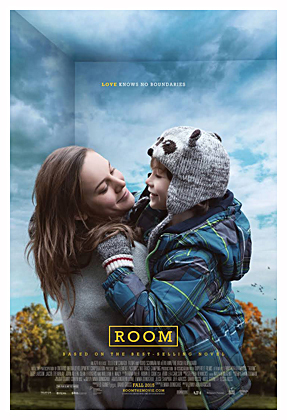 The film has a nice visual style to complement the setting and story with a lot of scenes lit by fire and filled with menacing shadows. There is a lot of gory action especially during it’s last act that involves touches of hallucinations from Indian practices and a siege on the fort by the wolves led by Ginger. It’s an entertaining addition to the series that, while not fully explaining itself, does seem to set up the curse and the possible bloodline to connect to the original Ginger Snaps, if you want to view the girls here as ancestors. It has it’s flaws such as some very stereotypical characters and basically a replay of Ginger’s infection from the original, but the girls carry the movie once again and it gets points for going a different route. There is also a lot of blood soaked carnage and some nice atmosphere, so when all is said and done, this third Ginger Snaps flick is still bloody fun and fits into the series well. 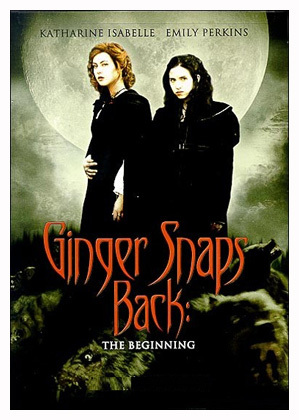 Check out my review of the original Ginger Snaps!